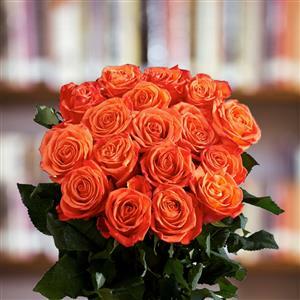 Send 12 Orange Roses Bunch to Chennai. Gifts to Chennai. Send Flowers to Chennai. Description : A wonderful gift for your loved ones. This one dozen Orange Roses are beautifully arranged in a bouquet, decorated with green leaves and fillers tied with ribbon. Share the charm with your loved ones in Chennai. Shop and send Gifts to Chennai through Gift2Chennai.com and convey your emotions and heartfelt feelings.